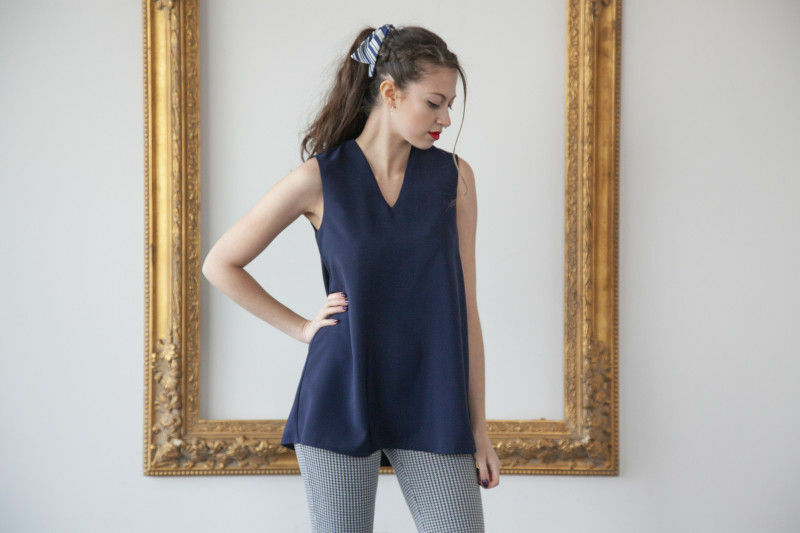 Whether you’re a beginner sewist or just looking to add some basics to your closet, The Molina Tunic sewing pattern needs to be your next project. 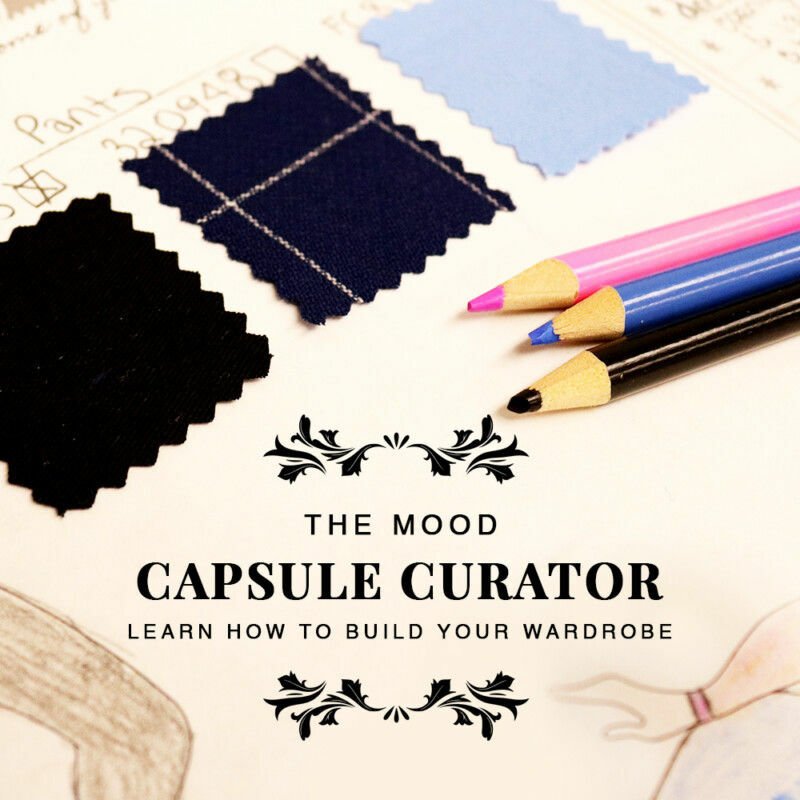 With the growing popularity of Capsule Wardrobes, simple designs are finding their way onto people’s sewing lists more and more. This pattern’s minimalist look gives you every opportunity to make it your own. Make it a wardrobe staple with a solid peachskin like we did, or make a statement with one of Mood’s Exclusive Collections. 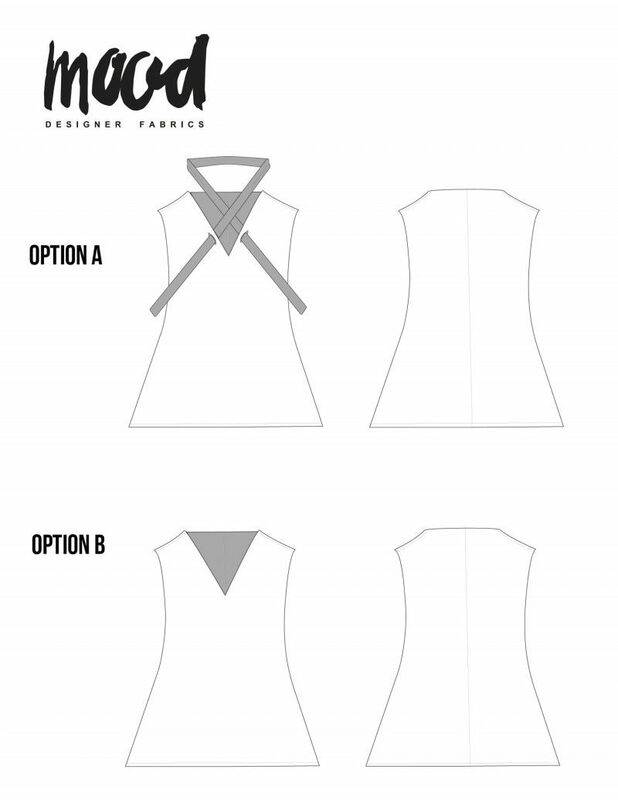 Use the optional necktie for an easy contrast or add some trim along the hem to turn a simple tank into and adorable mini dress! To start, both version go together the same way. Begin by attaching the front and back facing pieces at the shoulders and sides, like you see below. Press your seams open and then repeat with your regular shirt pieces, attaching them at the shoulders and sides. Note, I chose to use French seams for the sides of the shirt since only the top portion is faced. 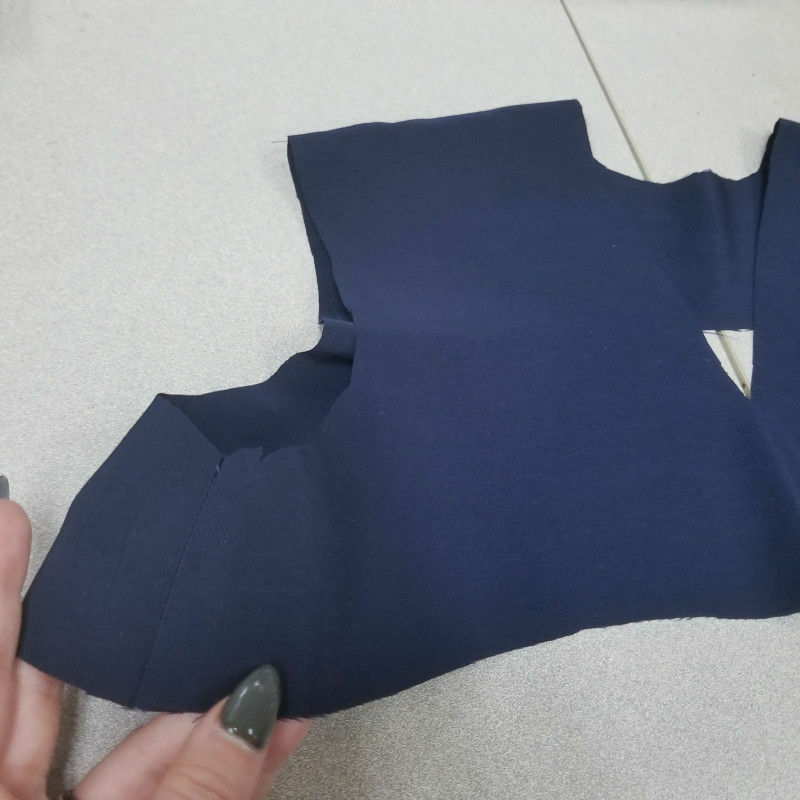 Fold the bottom 1/4″ of your facing upward, towards the wrong side of the fabric and edge-stitch. 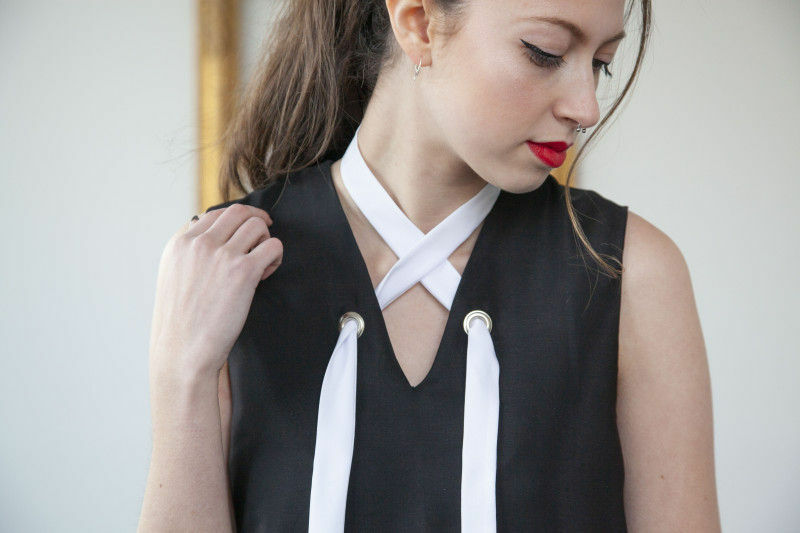 Pin the facing around the neckline of your shirt, fabric faces together, and sew. 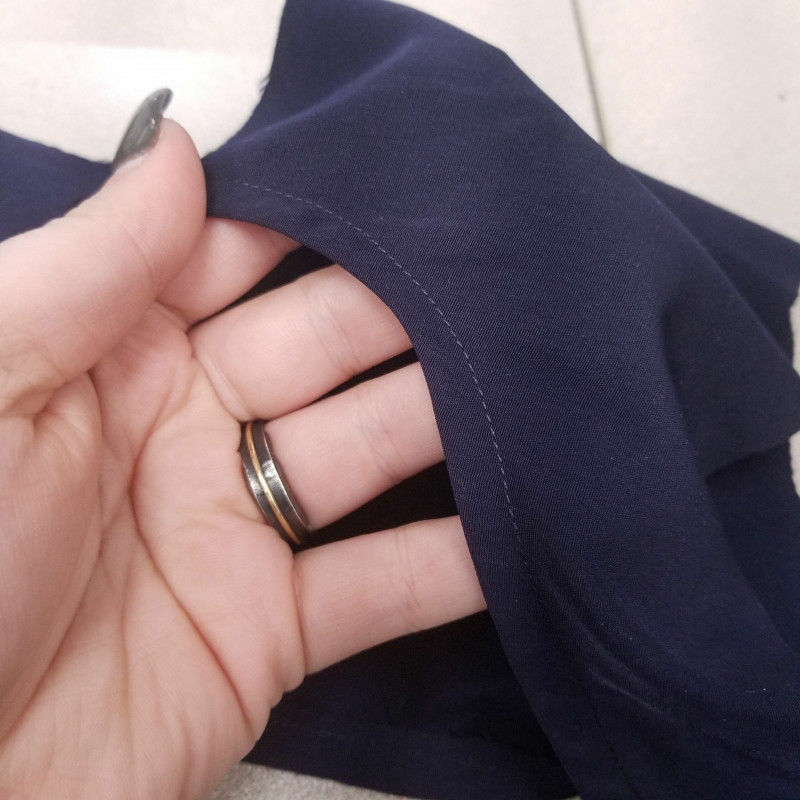 Clip the seam allowance so the fabric doesn’t pull when you flip it. Turn the garment right side out, and press. 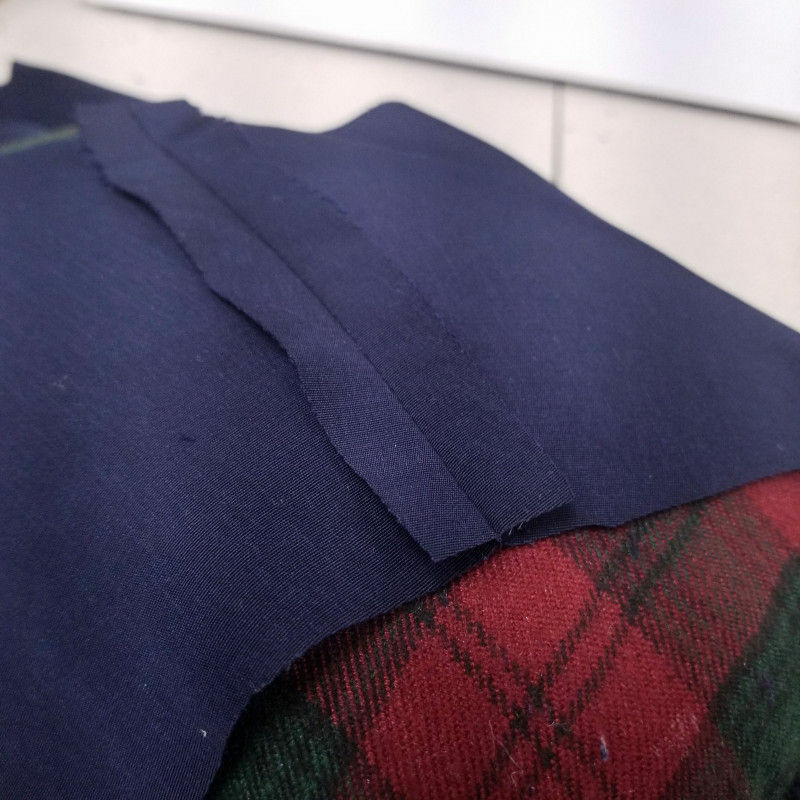 Sew the facing at the armholes and clip your seam allowances. Again, press. Lastly, hem the bottom of your tunic and your basic garment is complete! 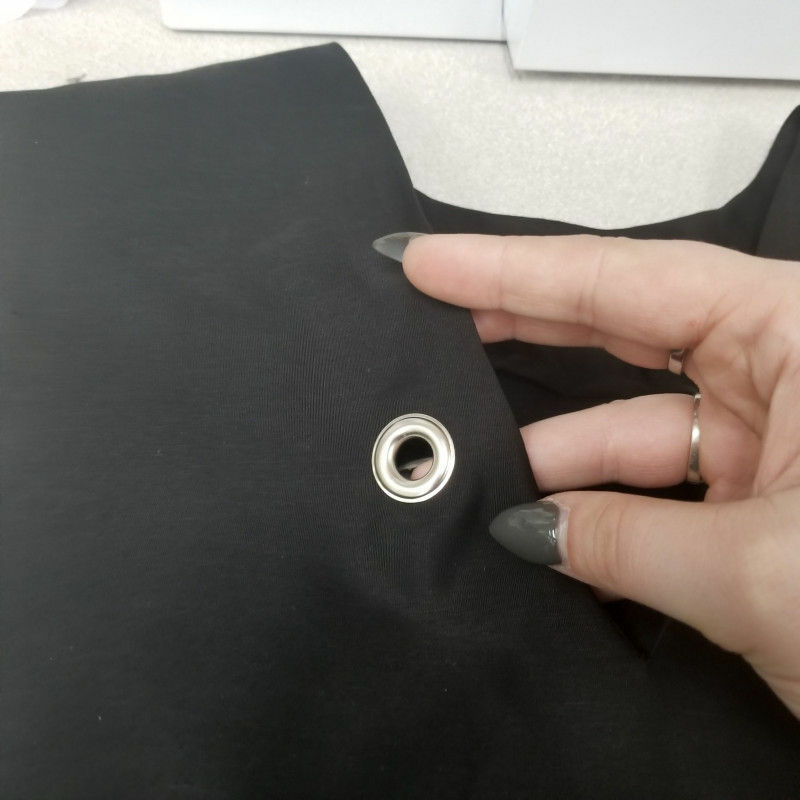 If you’re upgrading your garment with the optional necktie, add your grommets 2.5″ from the bottom of the v-neck by following the directions on your grommet plier kit. To make the tie, fold your fabric in half along the length and sew along one short side and the long edge. Turn the fabric right side out through the opening at the end and press. Slip-stitch the open end closed and press again. Which version of The Molina will you be trying out? Let me know in the comments!